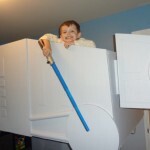 It never ceases to amaze me that some people take the idea of being a geek to an extreme. 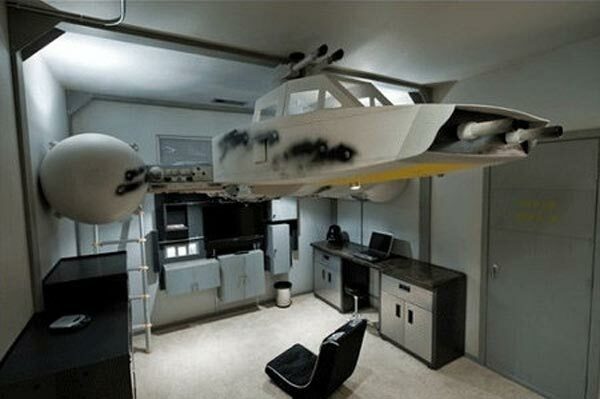 In this case, somebody built an AMAZING looking Star Wars Y-Wing bunk bed. 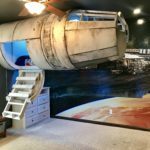 I think this is honestly one of the coolest bedroom setups I have ever seen, even better than the Millennium Falcon bed I posted a while back. The detail on the Y-Wing bunk bed is amazing, it even includes burn marks from the battles it has been in. 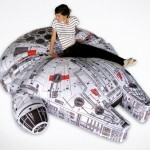 Something tells me that the owner of this bed is probably never getting laid but judging by the number of female Star Wars fans that visit Global Geek News, I might be wrong. 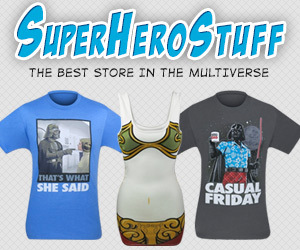 I do think the Darth Vader helmet on the desk is a nice touch though. 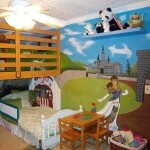 Now if somebody wants to build one of these in my bedroom, I certainly wouldn’t say no. For more pictures, check the link at the bottom. 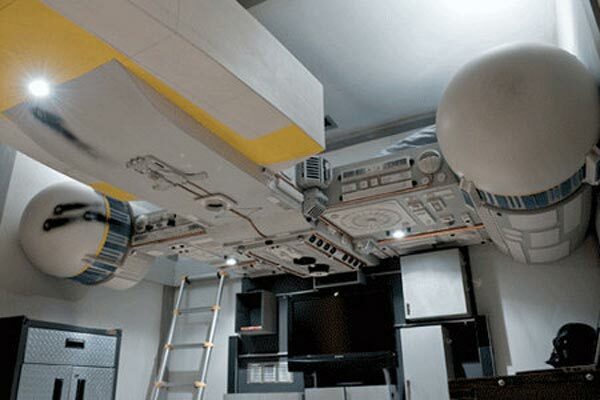 Do you have a really geeky bedroom? Tell us about it in the comments! 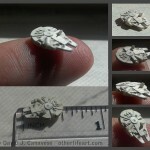 Pass this along to any Star Wars fans you know. Like us on Facebook too!